A business contract is a legal promise made between two or more parties. A contract may be drawn when the associated parties wish to enter into a transaction like buying or selling, performing services, leasing properties, collaborating in joint ventures, advertising, manufacturing, distributing or selling goods, etc. The business contract is considered a surety against cheating by any of the associated parties. The length of a business contract depends on the number of clauses being mutually agreed upon. It may be of a single page or it may run into a dossier of several pages. Every business contract is legally binding and attracts relevant stamp duties. The general practice is to compose such business agreements in the presence of lawyers of all the parties involved. 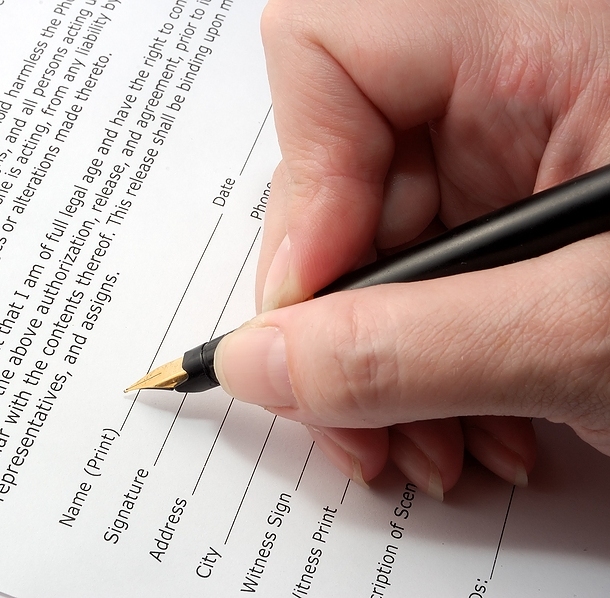 The first page of a business contract usually contains the names and addresses of the signatories. A brief description of their jobs can be mentioned along with their names. The date of signing the contract is put up on the first page. The next part of the contract is called the recitals. This is a very short description of the type of transaction the parties are going to enter into. It is usually no longer than a paragraph. After recitals follow the specifications, in which there is a detailed description of the job the parties are to undertake. This part may run into several pages and it contains a very succinct description of the exact job portfolio. It sometimes contains formulas, diagrams, sketches, and graphs in order to better explain the nature of the job. Payment comes in the next section. A very clear mention is made of the remuneration that one of the parties is to give to the other. Either the exact figure is mentioned, or at least the determining factors are outlined. If time is extremely relevant in the completion of the job, then the sentence “Time is of the essence” is included. Whatever the conditions regarding the payment may be, they are to be put down in the contract. Apart from all this, there are several legal points covered. It is written in the contract which state jurisdiction will apply in case of a legal suit. Also, the tenure of the validity of the contract is mentioned. A business contract is a very delicate matter. It takes several deliberations between the associated parties along with the involvement of their lawyers to reach a final draft. There are sometimes several negotiations and amendments in the agreement until it becomes satisfactory to all concerned. Only after a mutual agreement is the signatures put down on the document. All concerned parties have to preserve a copy of the contract as long as it is valid. If you have questions regarding real estate law, that is our specialty at Bronchick Law! !